Daily single entry with disabled person's placard/license plate is $9. 24-HOUR parking fee is $22 with in and out privileges. With disabled person's parking placard is $18 with in/out privileges. Show disabled person's placard to valet attendant. For more information regarding long-term discounted parking permits, please visit the UCLA Transportation Services - Patient Parking information page or contact Patient Affairs at 310-267-9113. 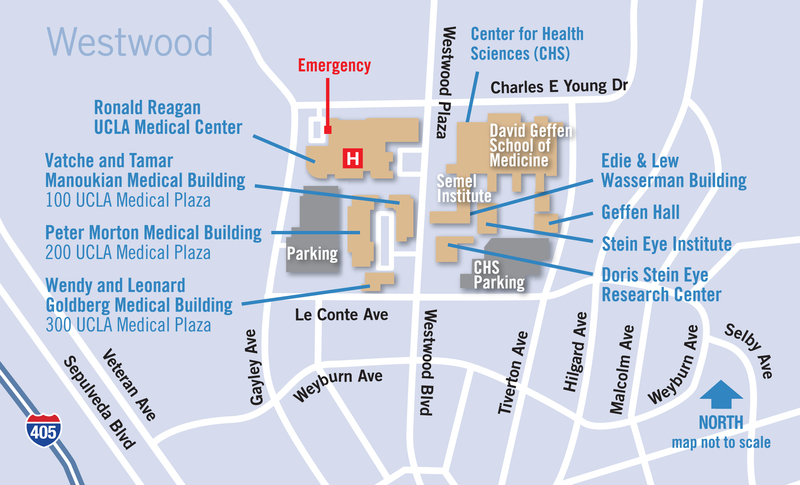 If you need to reach the Parking Cashier office located on Level P, please call 310-206-3934. The RV Park is located at 12001 Vista del Mar, Playa del Rey, CA 90293. For reservations, fees or additional information call 800-950-7275 or 310-322-4951, or check the Department of Beaches & Harbors website. For UCLA campus parking information, call Parking Transportation Services at 310-206-7275 or visit their website at transportation.ucla.edu.